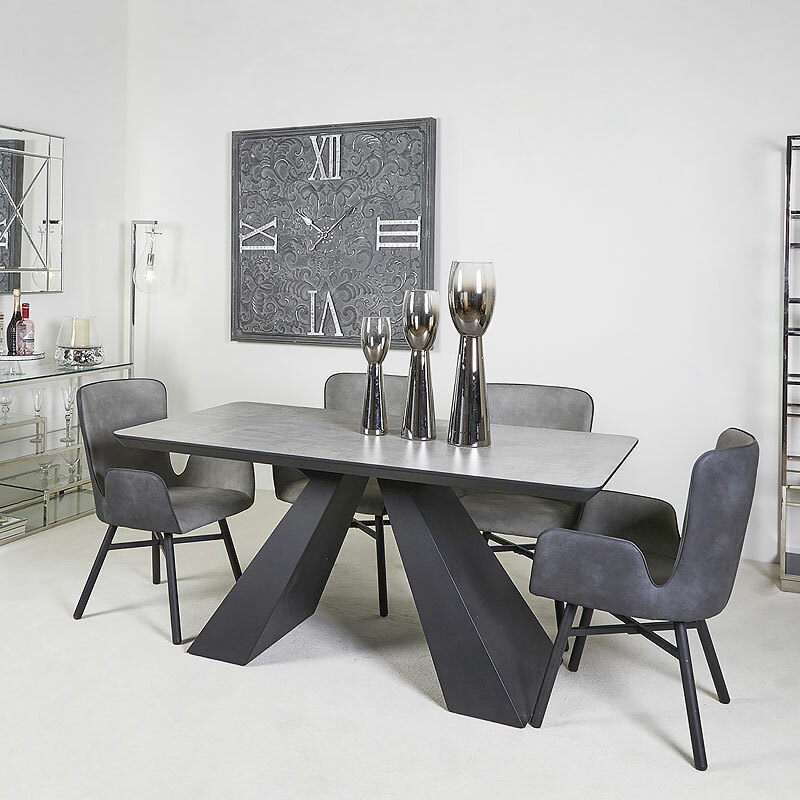 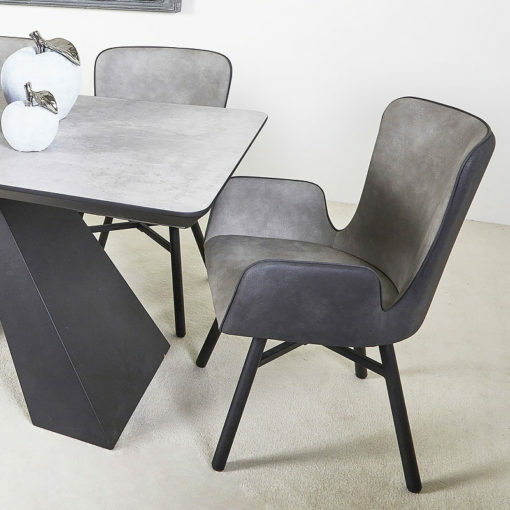 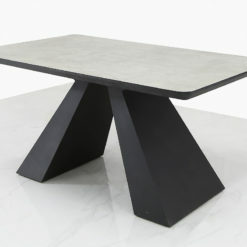 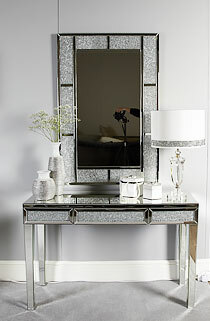 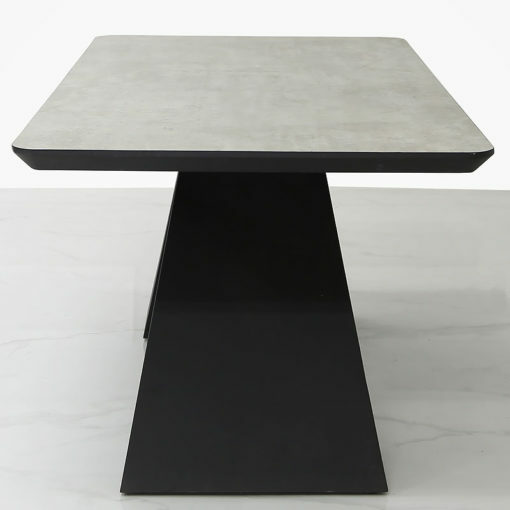 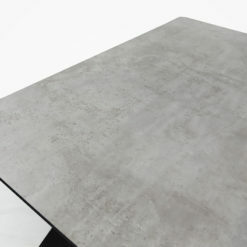 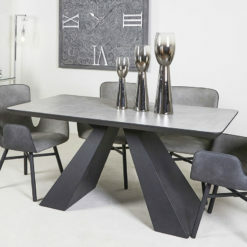 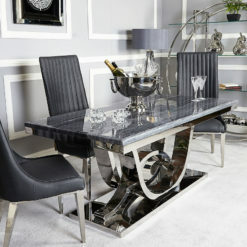 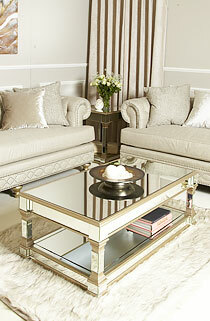 Axel dining table featuring a black wooden base with a grey wood veneer tabletop. 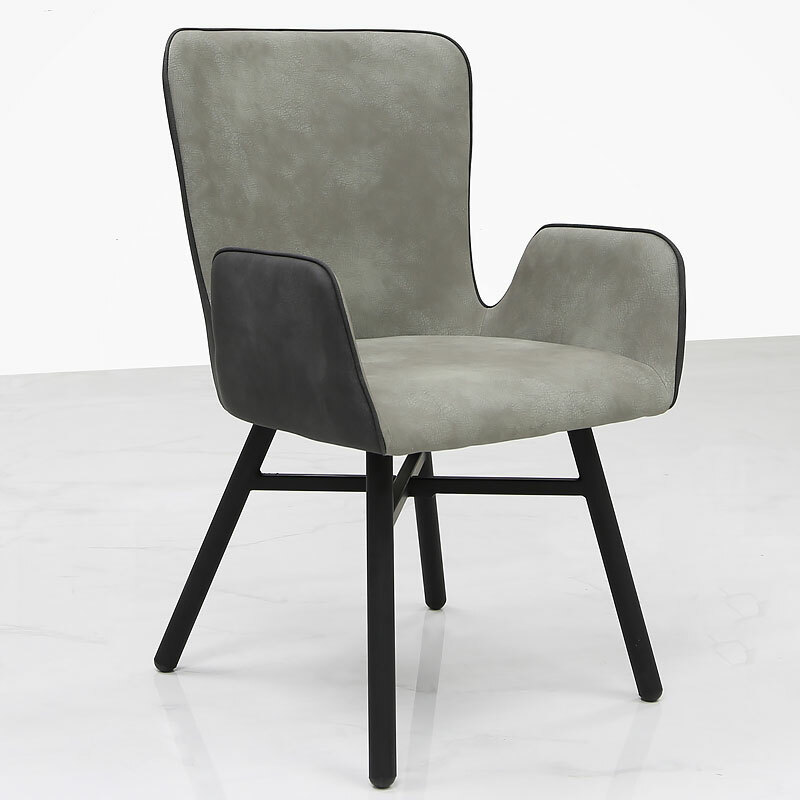 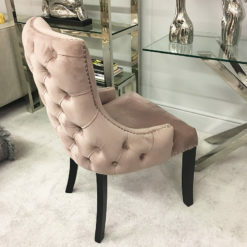 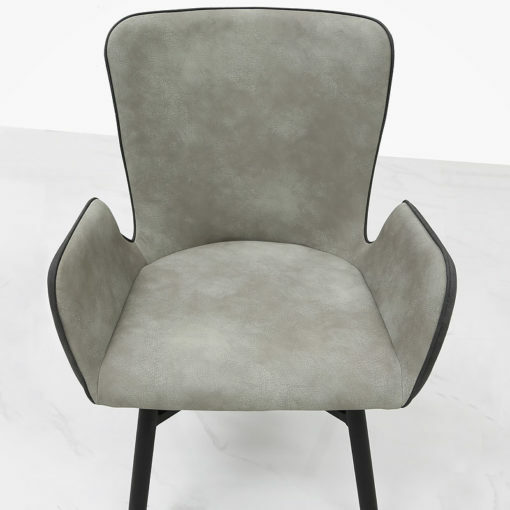 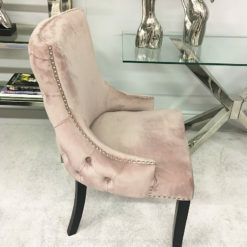 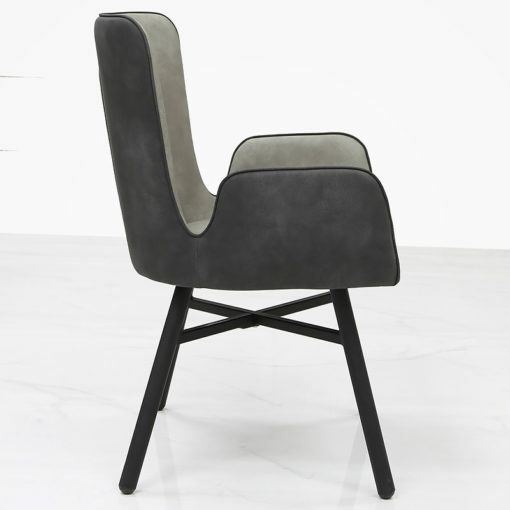 Accompanying the table are 4 dining chairs featuring a grey suede style upholstery with a cushioned back and arm rests and slim wooden legs. 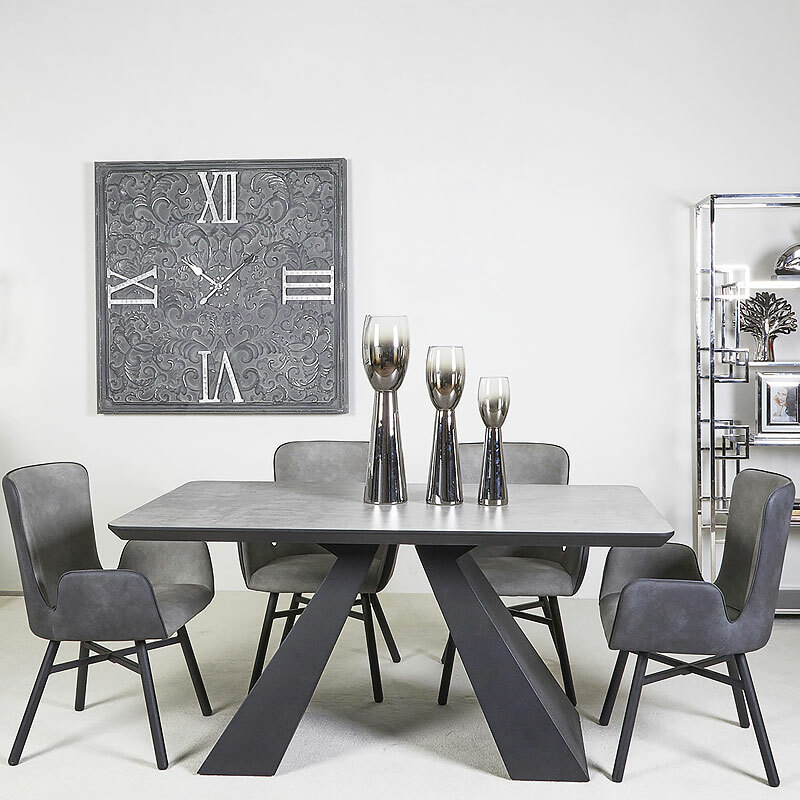 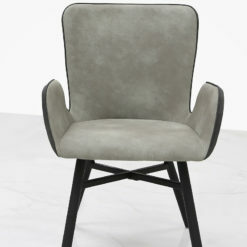 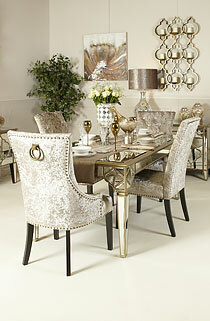 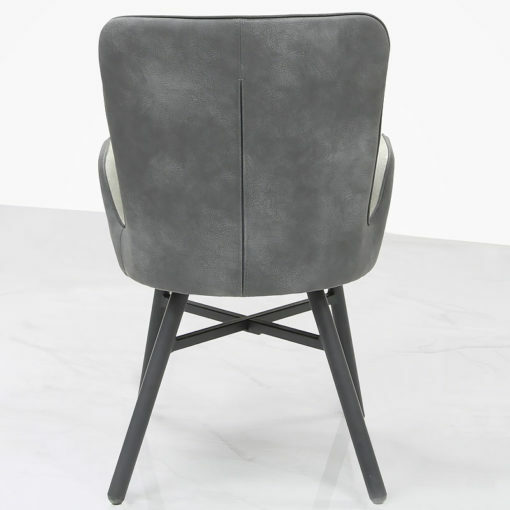 4 x Grey Dining Chairs with a grey suede style upholstery, a cushioned back and arm rests and slim wooden legs.